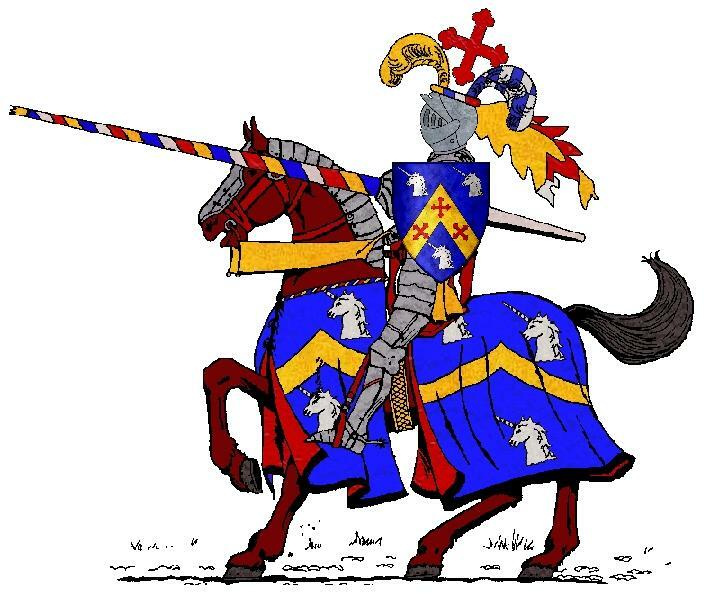 In this website, you will find descriptions and drawings of arms (equestrian arms, arms with external ornaments : crests, helms, crowns, mantlings, mottos), sigillography (medieval seals) and the basics of heraldry. In the "Learning" section, you will learn all the basics of the heraldry (shields, tinctures, charges/devices, crests, holders/supporters, mottos, mantling, glossary). 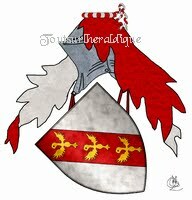 The "Armorial" section will give you access to many French and European armorials (armorial of Europe by Rietstap, armorial of France by Hozier, armorial of Lorraine by Dom Pelletier, armorial of Champagne by Caumartin, armorial of Burgundy by Peincedé, armorial of the First French Empire by Reverend, etc ...). 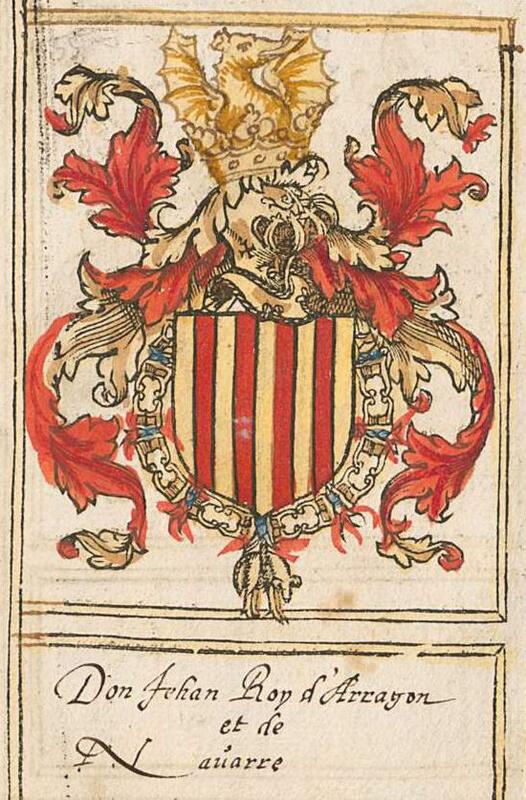 All these heraldic informations (images and descriptions of arms) will allow you to enhance your genealogy with illustrations. The "Shop" section will allow you to place orders (personalized coat of arms, simple blazons, armorials, books and CD-ROM). The "Miscellaneous" section will allow you to leave a few words in the guest book, to view several links of other interesting heraldic websites or to contact me by mail for a request of information (eg on a specific blazon). 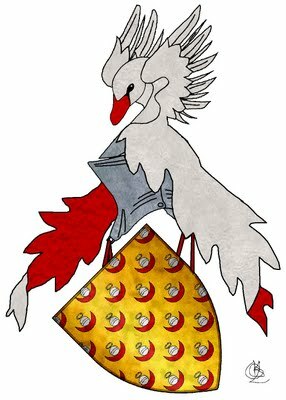 Heraldry is an art that is dedicated to the study of blazons and coats of arms. Appeared in the twelfth century in chivalry, it quickly spread throughout western society : clergy, nobles, burghers, peasants, women, communities ... Then it spread to the symbolic representation guilds, associations, cities, regions or countries. 2/by its potential ornaments (support, crown, collar of a chivalric order,...) which characterize him. Some external ornaments(crests, supporters) are part of the coats of arms (and are systematically associated with them), others are arbitrary or fanciful (lambrequins, allegorical symbols,...), but most are the heraldic representation of titles, officies or dignities (they are officially attributed and may vary). 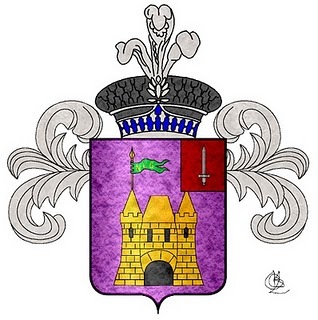 Heraldry and genealogy are intimately linked. On the one hand, only a perfect knowledge of the genealogy of a family can afford to conclude its legitimate right to wear or not a given blazon. On the other hand, heraldry can sometimes be a crucial help in genealogical survey (the study of a shield can provide information about lines). Encourage me ! 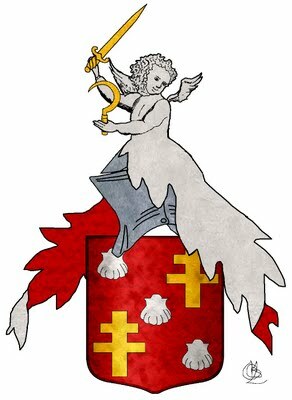 Tell you like my sites and blogs on heraldry !